I’m sorry it’s blurry, but I’m just relieved that I even managed to capture this moment. 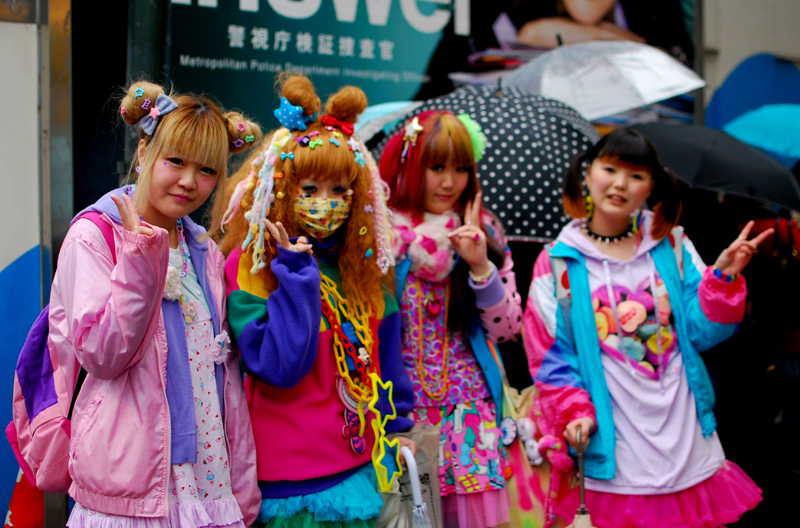 We arrived in Harajuku on a very rainy morning, but as the clouds rolled out, the Harajuku girls rolled in. We passed this colourful group while strolling down Omotesando dori on a chilly March Saturday afternoon and I had exactly one second to whip out the camera and snap a pic. I love that dressing up and hitting the town is a weekend hobby for these girls. Respect.